Have you ever visited Hersheypark? There is just something about the family friendly charm of this great park. The park is filled with great rides, food, and fun. But it is also filled with beautiful trees and flowers, a real step back compared to some amusement parks. With Hersheypark, you can stop to smell the flowers, and even feed the ducks if you would like. 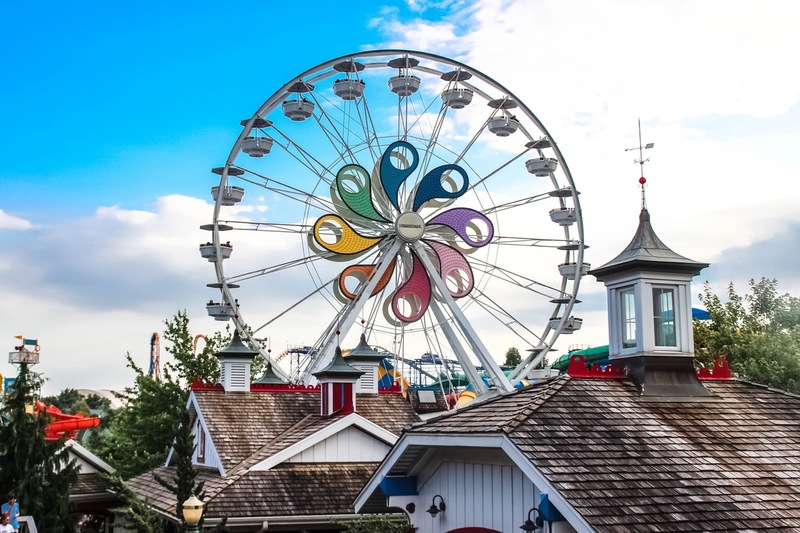 Do you like to go and visit Hersheypark with the family a few times a year? 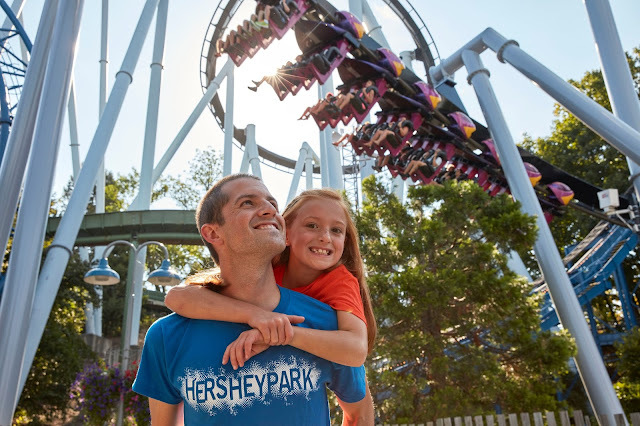 Why not pick up a season pass, and get all of the great deals Hershey has to offer. 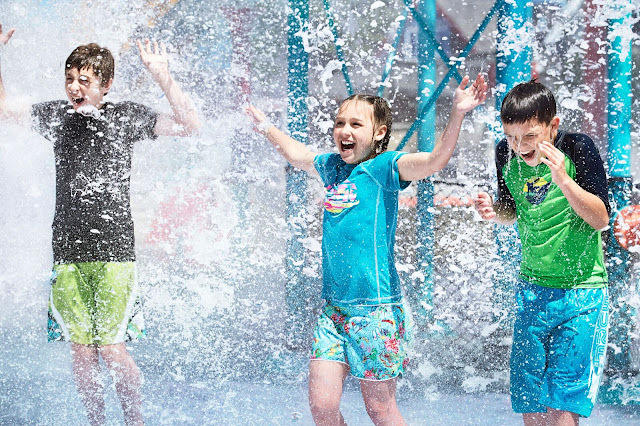 With a season pass you can have unlimited fun for less than the price of 3 visits. 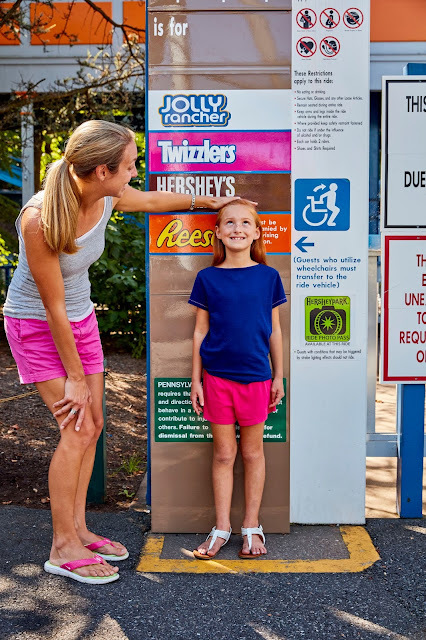 Think of it the chance to enjoy unlimited year-round visits to Hersheypark and ZooAmerica, plus sweet perks like FREE parking, early access to select rides, and more! For less than the price of three visits! The all season pass has two price points, the cost is $170.00, for ages 9-54 and $155.00 for ages 3-8 and ages 55+ the pass is valid for visits from Jan. 1 - Dec. 31, 2017. Children 2 and under are free. With the season pass you can go to the park as much as you would like, every day if you wish! Along with the spring and summer season you are also allowed unlimited visits during Hersheypark In The Dark, as well as unlimited visits during Hersheypark Christmas Candylane! Hersheypark itself is not just what you can enjoy with this season pass… you can also enjoy unlimited visits to ZooAmerica all year long from January 1 - December 31. 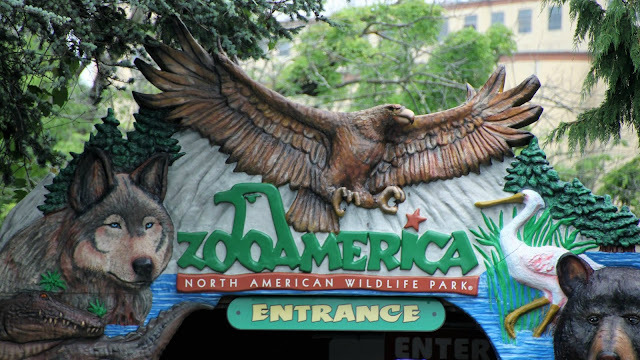 Want to have a quiet day with the kids at the zoo, then take advantage of your pass, and have a fun-filled animal watching day at ZooAmerica. Come in the summer and enjoy a wet filled at at Hersheypark's Boardwalk, a great way to cool down on a hot summer day. With your pass you will save $$ with all of your purchases at the park from souvenirs to food, you will save 15% off merchandise! This will add up after a short time, save on lunch, a tee shirt your magnet… whatever you purchase. You can even save at Hershey’s Chocolate World! Save 15% off chocolate, retail, and food & beverage purchases at Hershey's Chocolate World. I know we always have to stop at Chocolate World when we are in Hershey they have such a selection. From getting little-known favorites like the Zero bar to yummy limited edition sweets that I cannot find anywhere (but eBay, and I am not paying $$ for a chocolate bar) and are excited to try. With each season pass purchase, you receive a Season Pass Value Book. This book is filled with even more sweet savings. From discounts on park tickets (you want your family and friends to come along, well save some money on their ticket with the coupons in this booklet) to more discounts on park food, like buy one get ones, these great coupons will come in handy the whole year though. The perk that I am most excited about is the Free Parking. Getting to park and save the cost of the parking is something that will add up to great savings. But the best part about this perk is that it is preferred free parking! The lot is right outside of the park. If you are a park goer you know by the end of the day all you want to do is get to the car and relax before you leave… with this amazingly close parking, you are right there, in the car in seconds. Such an amazing perk! Season pass holders will get the perk of Sweet Start. With Sweet Start, you can start your day before the gates officially open with up to one-hour early admittance on select rides in Founder's Way, The Hollow, and NEW in 2017, Kissing Tower Hill. 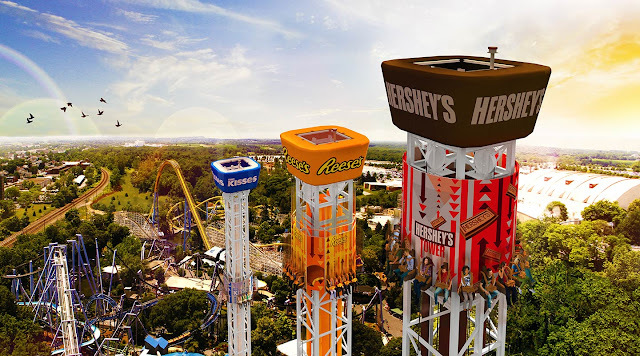 Get your 1-hour early access to even more rides, including the all-new Hershey Triple Tower with Hersheypark Sweet Start. Not necessarily just for season pass holders but, I had to include this because it is such a great deal! Quench your thirst for less at Hersheypark! Purchase an All-Day Drink Deal complete with a Souvenir Cup and get free refills throughout Hersheypark all day! Plus get .99-cent refills on future visits! Available during Springtime In The Park, Summer, Hersheypark In The Dark, and Hersheypark Christmas Candylane. All this for only $14.83! Get the Hersheypark, all-Day Dining Deal for only $29.67 each person. Pay once and dine all day! Feed your hunger for less at Hersheypark! Purchase an All-Day Dining Deal for one low price, and dine all day long at more than 10 tasty locations throughout Hersheypark! Look for the All-Day Dining Deal icon throughout the Park for available locations. If you are looking for a great way to have fun all spring/summer/fall/winter take a visit to Hersheypark, and come back again and again with a Season Pass. I can't wait to share more of our visits, we will be back soon! Are you linking all of these great deals for Season pass holders? Well, that is not all there are even more deals than this! 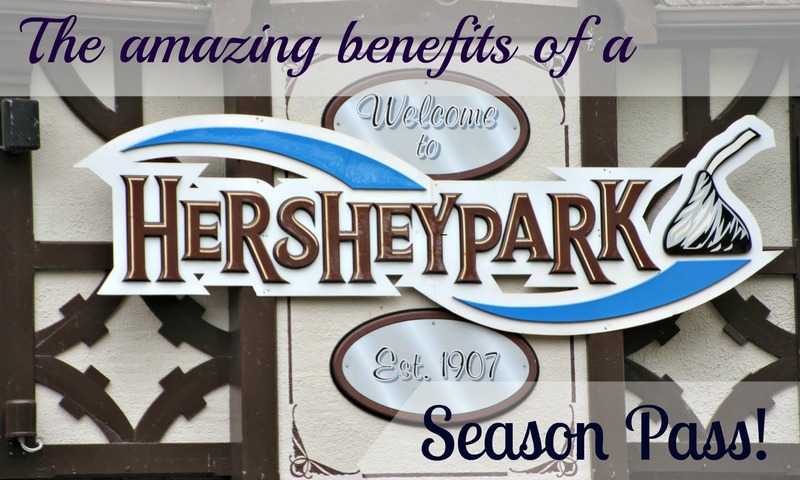 Be sure to check out the other great perks of a Hersheypark season pass! I would love to go to Hershey's Park, we live in NH so it would be a fun road trip to go there and enjoy the day! Love that you are able to enjoy this place and awesome on the season pass idea. I think a season pass makes sense! 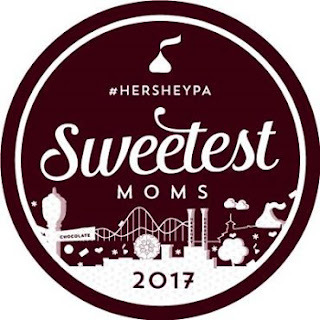 I have heard nothing but great things about Hershey Park being a great place to take your family. I'm hoping to be able to take my kids oneday soon. 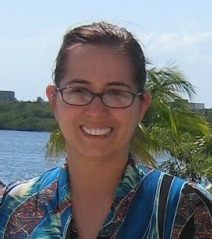 I love your images, my kids would go crazy over the Boardwalk. That is fully awesome. I need to snag a season pass for the family. We LOVE Hershey Park. Oooh! My mom is SO excited at her new "senior" status that she'd flip at her season pass being cheaper than mine! I keep seeing that shake all over the place, and would drive JUST to have it! Chocolate and water parks - I am sold!! Looks like a place to add to our travel list for sure! This looks like a place my family would enjoy visiting. The food looks amazing!